Whether you're after a simple business site to show your customers who you are and what you can do, or you're after a huge online store with thousands of products, we can develop a website tailored to you. Sometimes the best way to let people know about your product is to shout it from the rafters. 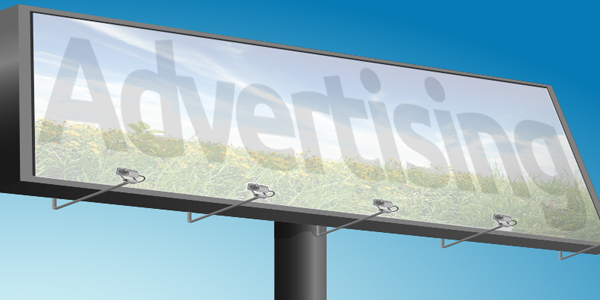 We'll show you how to effectively advertise your product to your target audience in order to make the most of your advertising budget. 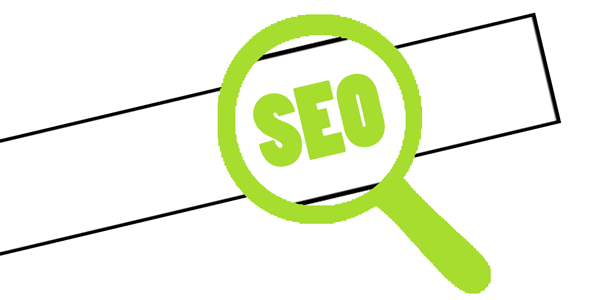 By optimising your website to be indexed more easily on search engines like Google and Bing, we can improve how high you appear on results for the key search terms associated with your business or product giving you the edge over your competitors. Social media marketing is all about learning about your customers, who they are and what they want, and following trends in the market environment which you operate. Marketing is all about learning, not selling. The ability of people being able to recognise your brand is of huge importance. We can work with you to tailor a design for your business and create a distinct corporate identity and help you incorporate it throughout your organisation. Design and development of your very own personal or corporate site. Promote yourself and your product to customers in the most effective way. Improve your rakings on search engines so customers can find you. Communicate effectively with potential and existing customers. Proudly display your corporate identity through consistant appearance. 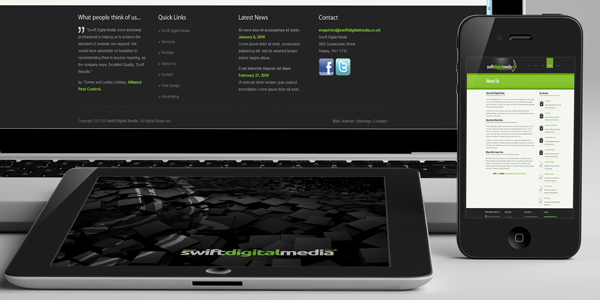 Welcome to Swift Digital MediaWe thought we might tell you a little about what we do. We pride ourselves on our ability to offer you everything you'll need to respresent yourself online, from attractive web design, search engine optimisation, advertising to complete corporate re-branding. 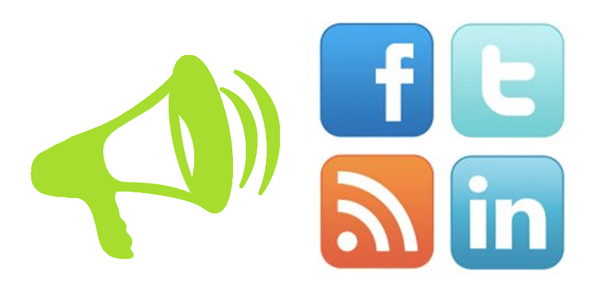 We can manage your entire web presence with our social media marketing and social media networking services. We can also be the voice of your company by providing you with professional blogging services. Small business? Don't worry, we have packages tailored to suit your needs. Web DesignWebsite graphics, interfaces and copywriting. Advertising Get shouting about yourself. Bespoke design and development of your very own personal or corporate site. Creating an online presence to learn about new and existing customers. The small business starter kit to get your business online. 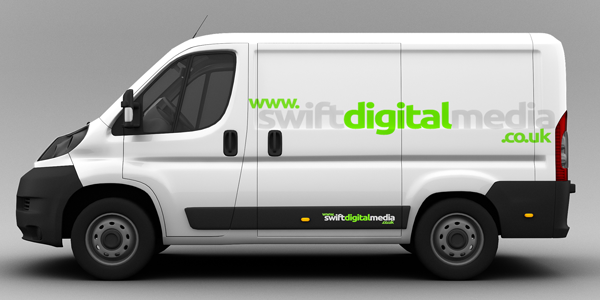 "Swift Digital Media were extremely professional in helping us to achieve the standard of website we required. We would have absolutely no hesitation in recommending them to anyone requiring, as the company says, Excellent Quality, Swift Results." by: Tommy and Lesley Lindsay, Alliance Pest Control. More than 1 in 4 UK adults claim that online product reviews have a major influence on their purchasing decisions.